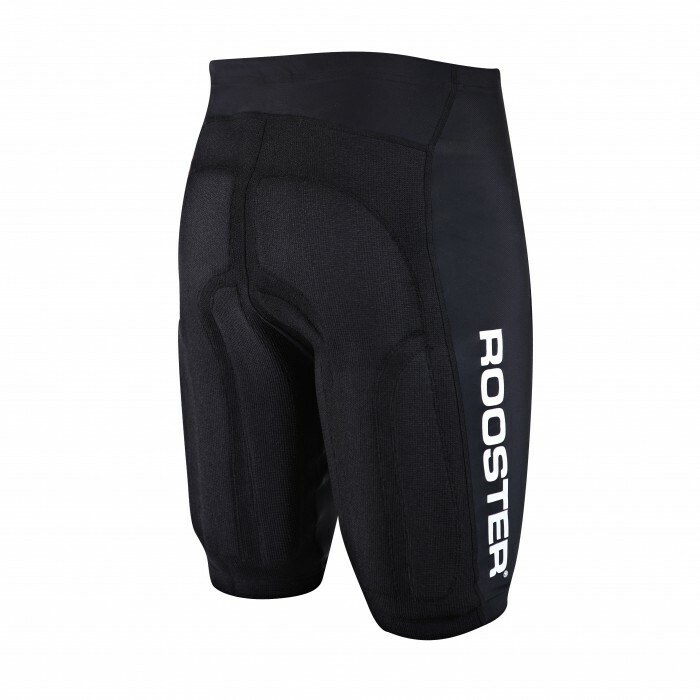 Race Armour LITE Shorts (BLACK) with PADDED BUM! Building on the success of the DS Layering System™, ROOSTER introduce the RaceArmour™ Concept. RaceArmour™ LITE: Featuring dual-layer contoured neoprene padding with durable armoured exterior and 410gsm Spandex front panels ; whether for sailing or Dragon Boating we have you covered. Wear them on their own in warmer climates for extended hours on the water, with Rooster ProHike Pads to hike harder for longer, or as a perfect partner when worn over an existing neoprene garment. "For winter hiking support and protection against an abrasive hull, we love our RaceArmour™ Lite Shorts with ProHike Pads worn over the top of a SuperTherm® Long John. I can see me wearing them over a ThermaFlex LJ in the UK summer - and at Garda in light airs, perhaps on their own." The above size table should be used as a guide only. These shorts are designed to be worn with a compression fit. For a recreational fit or for use over another garment you might like to consider taking a size larger. You're reviewing: Race Armour LITE Shorts (BLACK) with PADDED BUM!